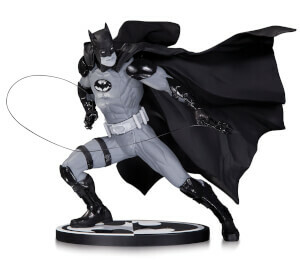 The first, striking statue in an all-new line from the pages of the best-selling Justice League comic book and graphic novels by comics superstars Geoff Johns and Jim Lee features the Dark Knight standing ready to take on the forces of evil! Save an extra 20% on the biggest brands in the collectible world, including Hot Toys, NECA, Mezco, & more! Enter code: BIGBRANDS and the discount will be applied. This offer expires at 18:59 EDT 24/04/2019.